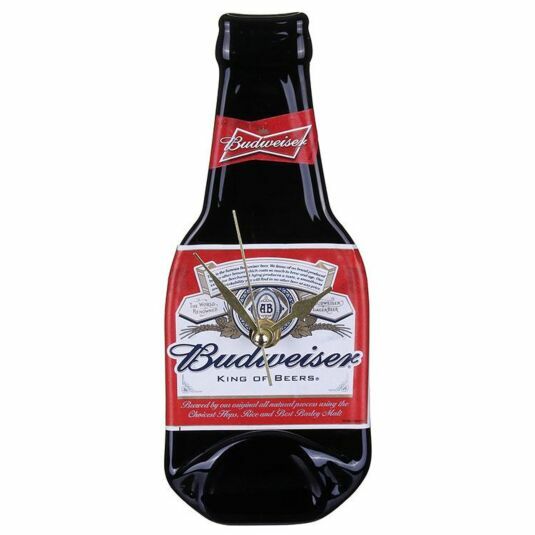 Like Bottle Clocks? Click here to view the entire range. 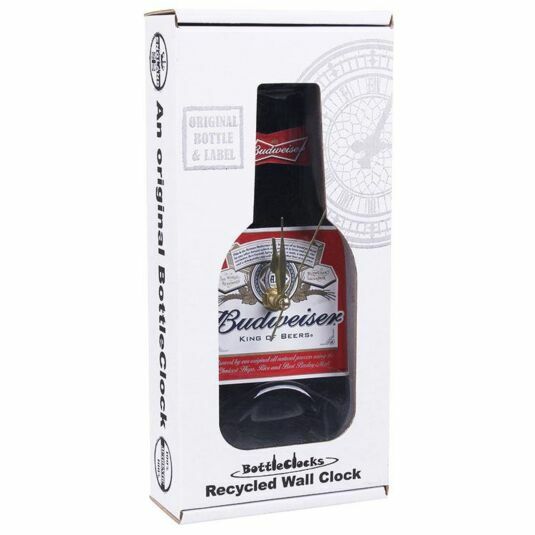 This unique and quirky bottle clock is sure to be the centre of attention when you have people round! 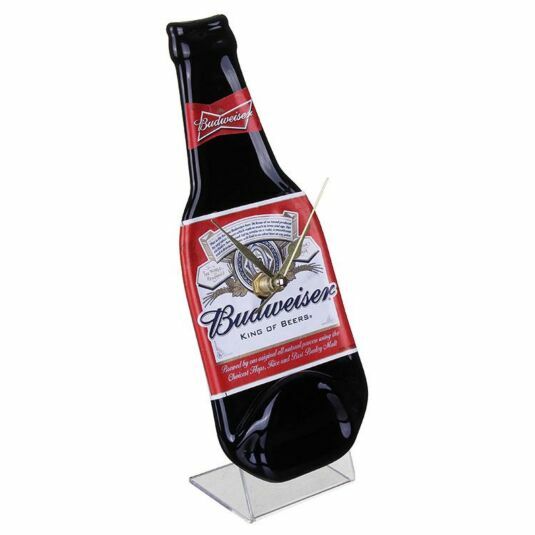 It is handcrafted in the UK, and is made from the original, recycled Budweiser bottle and label. Each clock is unique, no two bottles are the same making this gift even more special. Hang it on the wall with the hook that it attached on the back, or purchase an acrylic stand to place your clock in any desired room! The perfect gift for any beer lover, a Christmas treat or a gift yourself or a loved one. Requires 1 x AA battery is required, not included but may be added to your order. Please note: It is not manufactured by, approved by, or connected with the original drinks manufacturer in any way.